Disaster restoration is a necessary service after any water, fire or sewage backup emergency, and it requires skilled professionals such as our experts with 911 Restoration Milwaukee to be done properly. If you find yourself left in the aftermath of any type of disaster situation, call the disaster restoration professionals at 911 Restoration Milwaukee. We know how to get your house back to feeling like your home again in to time. We understand how important it is to get fast assistance when dealing with water damage or sewage backups, so we make sure to respond within 45 minutes of your emergency call. The Milwaukee offices are opened 24/7/365, because we know floods can occur at anytime, day or night. The residents of Milwaukee are all at risk of experiencing heavy storms and rain leaks, in addition to fires caused by lighting, sewage backup due to floods and mold spores growing from the excess moisture in the air. 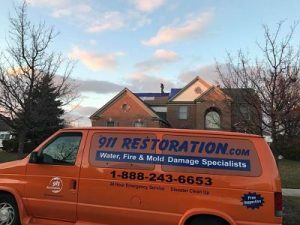 Our disaster restoration Milwaukee crew has years of experience helping the community with all types of disaster restoration services, including water removal, fire and smoke damage restoration, sewage backup cleanup and mold remediation, so if you’re having any of these issues, then give our experts a call today! When you are looking for quality home restoration services at an affordable price, call our Milwaukee disaster restoration operatives. We do the job quickly and efficiently, while always keeping our focus on the customer. We make sure to keep your out-of-pocket expenses low by working directly with your insurance company and helping you with your policy every step of the way. Our IICRC certified Milwaukee disaster restoration service agents make sure to keep you satisfied and are prepared to answer any questions you may have. If your home has been effected by a natural or man-made water damage disaster call us for a free damage estimate and visual inspection. We want to make it as easy as possible for you to reduce the damage done to your property. If your home or business is experiencing any kind of disaster situation then don’t hesitate to contact our disaster restoration Milwaukee experts with 911 Restoration Milwaukee today! There are many precautions you should take to avoid water damage, and our licensed, bonded and insured Milwaukee disaster restoration specialists are happy to walk you through each step. Have a professional check your home for plumbing leaks that may be causing water to enter your home. It is important to get this done before the rainy season begins. Cleaning gutters and downspouts, both before and after rain storms, is essential in preventing roof leaks. Even a small leak can lead to thousands of dollars in damages, not only due to the water damage, but because of its potential to cause a mold and fungus infestation. Sump pumps can help you avoid such a disaster by automatically starting water removal before professionals arrive on the scene. Sewage back flow valve are another useful product, since it can prevent a toilet overflow in the event that a broken water line causes water to flood the home. If your property is experiencing any form of water damage, sewage backup, mold growth, fire, or any other kind of disaster situation, then don’t wait for it to get worse with stagnation. Contact our disaster restoration Milwaukee specialists with 911 Restoration Milwaukee today!